No one does geometric shapes and elegant draping quite like Roland Mouret. And while I do not care much for his overt allusion to the eighties with his boxy broad-shouldered jackets, I do enjoy his well-tailored pieces. His feminine, body-hugging silhouette is not only enormously flattering, but the fabric is always so intriguingly folded. By manipulating the fabric in the bodice, he elevates the sculpted sheath dresses to a visually arresting architectural piece. Moreover, his slouchy draped leather certainly piques my interest; the effect appears delightfully tactile. Though apparently it is lacquered silk (caked by mud and baked!) which explains the pliability. 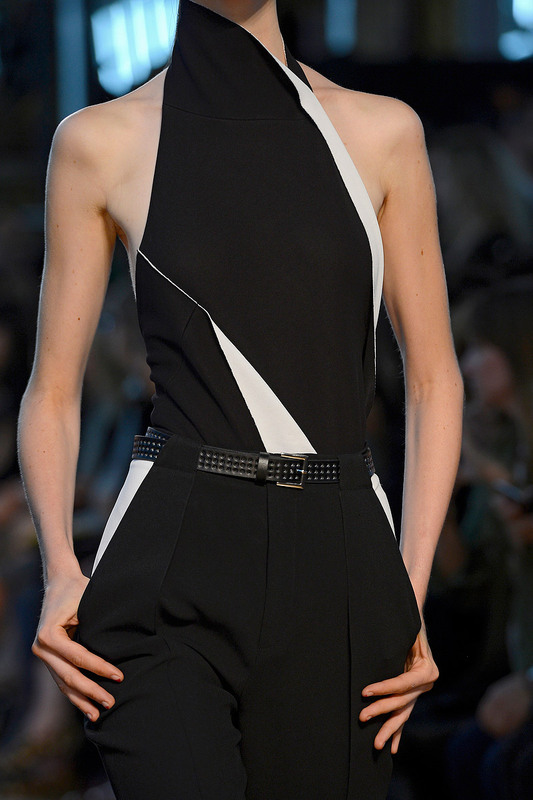 In any case, Roland Mouret provides innovative, chic looks that allow one to feel both cool and pulled together.